Dr. Seuss’ birthday is coming up on March 2nd. We have had a lot of fun reading and playing with Dr. Seuss. 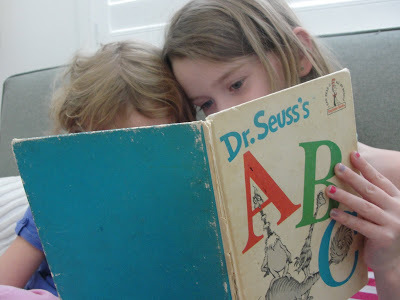 As a little girl I loved Dr. Seuss books and I’m so happy that I have been able to pass that love on to my girls. 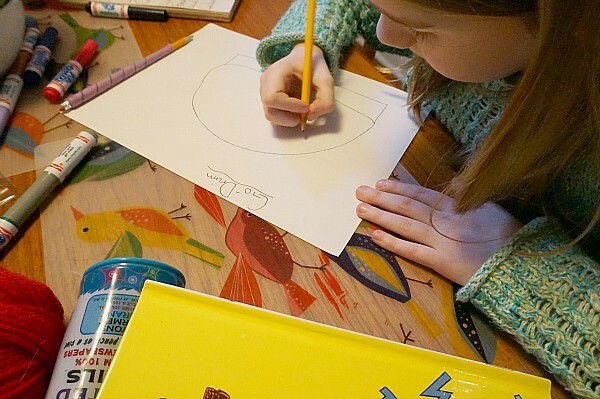 Dr. Seuss books are so creative – they have sparked our crafty imaginations many times over. 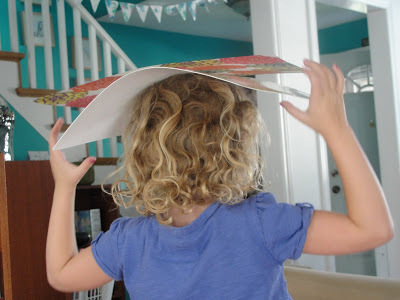 I have been thinking back on all the fantastic Dr. Seuss inspired crafts and games we have created over the years. I thought it would be fun to put together a round up of our favourite silly stuff. 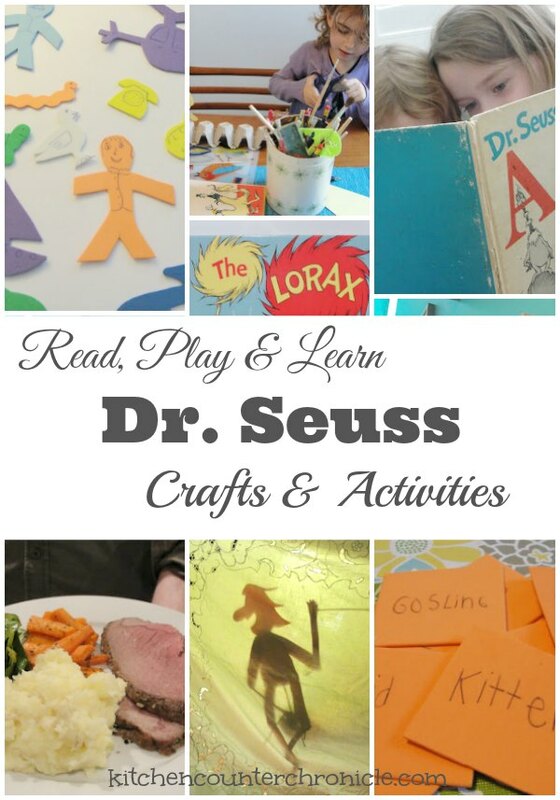 Hopefully you will be inspired to get reading, learning and playing with these awesome Dr. Seuss crafts, games and activities. 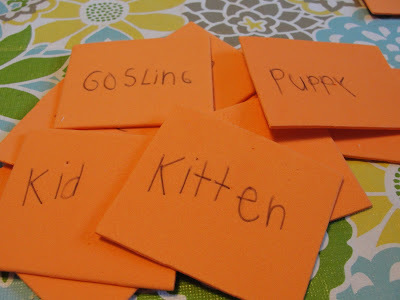 ABC Scavenger Hunt : Have fun creating your own mixed up alphabet scavenger hunt. 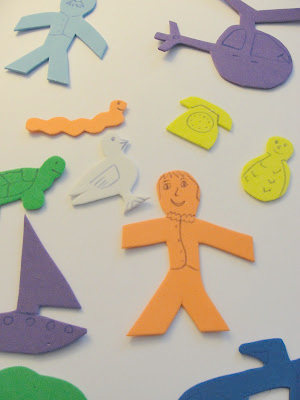 Are You My Mother Memory Game : Learn about animal mothers and babies with this simple matching game. 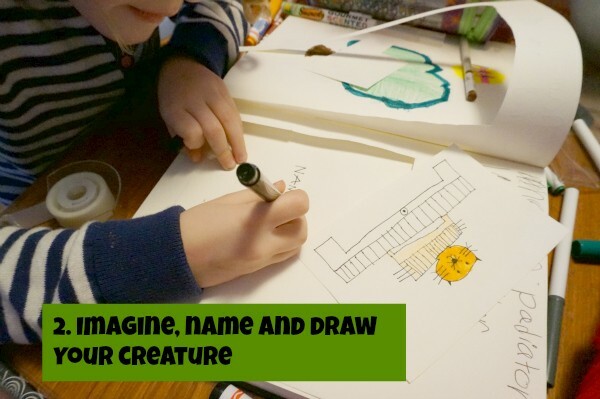 Create a Vehicle for Marvin K. Mooney : Design a vehicle for poor Marvin K. Mooney to drive away in. 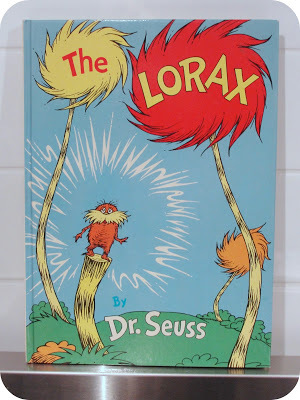 Learning about empathy with the Lorax : Many of life’s greatest lessons can be found in the pages of books. Roast Beast : What’s for dinner tonight? 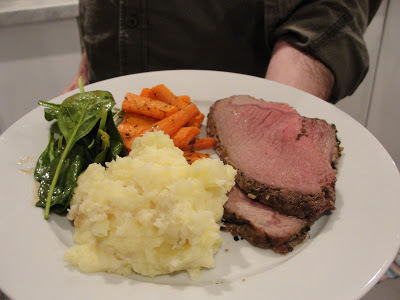 Gather around the dinner table and enjoy a beautiful roast beast! 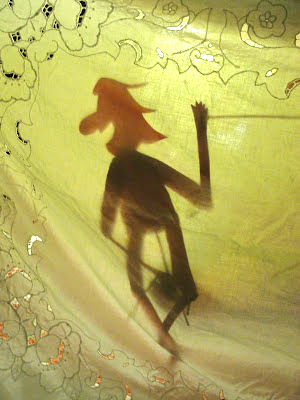 Create a shadow puppet show with The Shape of You The Shape of Me : Learn how to make simple shadow puppets. 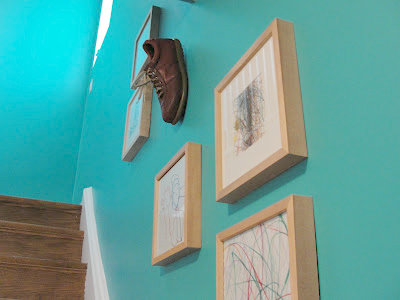 Wacky Wednesday : Things are getting a little wacky on April Fool’s Day…a shoe on the wall?! What Happens When a Little Bug Says Ka-Choo! : A simple math game that keeps on adding up and up and up! Love the Wump idea! 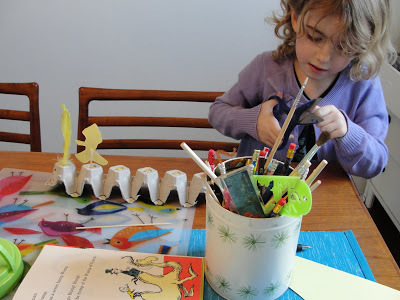 We haven’t read that book yet, but I know my kids would love to create their own Wump from recyclables. Putting it on our list of activities when we celebrate Dr. Seuss week!